The start of the 2018 NFL and NCAA football seasons are upon us. 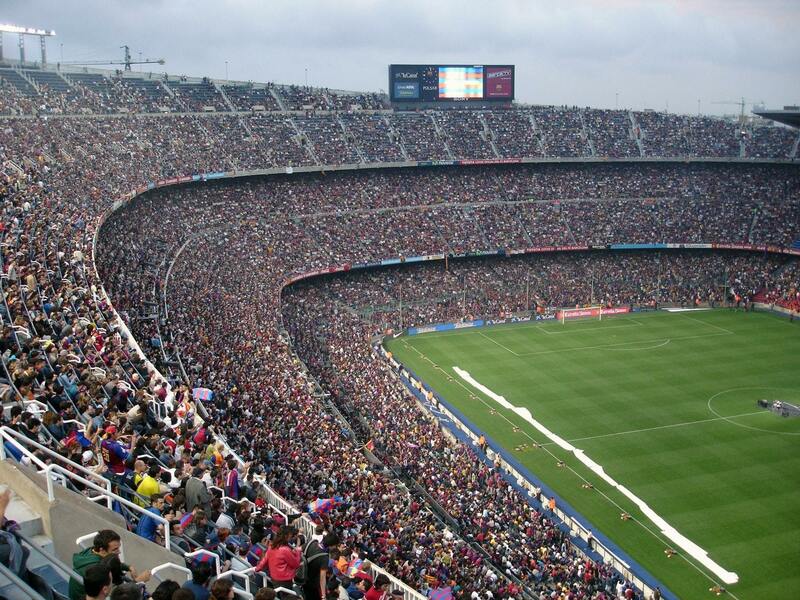 Over the past few years, we have seen quite a few new football stadiums built. In honor of the start of the season, Castellanos + Tramonte Architects decided to take a look at the architecture, design, and features of some of the newly erected stadiums. Unveiled at the start of the Atlanta Falcons 2017 season, the Mercedes-Benz stadium is considered an architectural icon by many. The stadium’s design, built my 360 Architecture, was inspired by the Falcon’s winged logo. While ultimately it was designed for football it has also been designed to adjust to host World Cups, Final Fours, and MLS soccer games as well. The record holding, stunning features are the five-story, 360-degree HD video halo board, and a falcon sculpture—both are the world’s largest of their kinds. Just recently, the Mercedes-Benz Stadium opened it’s roof again, which was another unique feature for the stadium. HKS Architects chose this vernacular design to really showcase the culture and climate of the city. The US Bank Stadium debuted in the Minnesota Vikings 2016 season. It bodes the first ethylene tetrafluoroethylene (ETFE) translucent roof. The roof providing great natural light while also reducing energy costs (especially helpful for those subzero Minnesota temperatures. The stadium was not the only things to go under construction. Additionally, the transit systems were improved so that many fans traveling to the stadium would not have to go outside. The oldest of the newest, Levi Stadium was built in 2014 and at the time was an extremely high-tech field. The home of the San Francisco 49ers boasted incredibility signage and connectivity but was built with a flawed design that left the east side of the stadium baking in the sun. An issue the stadium is still attempting to address in the upcoming season. HNTB designed the stadium with the top priorities being to create a multi-purpose venue, fan-friendly experience, and utilize green technology. Since its foundation, Levi Stadium has hosted Super Bowl 50 and the annual Pac-12 Football Championship Game. Opened at the start of Colorado State’s 2017 season, Canvas Stadium embraces the beautiful topography of the Rocky Mountains. Designed by HOK design and Aller-Lingle Architects, Canvas Stadium works as a year-round facility that was created to function on and off game days. The architects drew from the state’s natural beauty and capitalized on visual connections to the mountains for the design. The facility combines not only the football field but they training facilities, alumni center, classroom space, and the Collaborative for Student Achievement. The stadium’s ultimate goal is to attract more out of state students to enroll at Colorado State. Designed by HKS Architects, Abilene Christian University’s Wildcat Stadium became their first stadium to host a home game in over 50 years. And with an opening victory no less! The stadium was named for the generous alumni, Mark and April Anthony, who donated to fund the construction of the stadium. Timed with ACU’s NCAA Division I membership, the stadium’s design brought indoor and outdoor seating to a stadium that was design less as a football stadium and more as a community icon. The state-of-the-art scoreboard and convenient amenities gave Abilenians a new outlook on their football program. John Fisher Architects and McCarty Holsaple McCarty, Inc. were the architects behind Eastern Tennessee State University’s football stadium that debuted last year. Named for longtime ETSU supporter, William B. Greene Jr., Wildcat Stadium gave ETSU the opportunity to increase their seating capacity and no longer share a field with a high school. Castellanos + Tramonte is Cape Coral’s architectural firm (and resident Canes’ fans!) specializing in commercial architecture design including fire stations, healthcare, assembly and educational buildings, public facilities, office buildings, shopping centers, industrial complexes, and warehouses. View our portfolio at http://castellanostramonte.com/projects/category/commercial/.